As previously reported on ARGNet, Wired magazine and Lone Shark Games have created a special “Underworld Exposed” issue to delight and confound puzzle-solvers and would-be thieves eager to join the nefarious Ring of Dishonor, a special place for the craftiest of puzzlers. Frustrated by the secret ciphers hidden in the magazine, available both in print and on the iPad, I cornered master puzzle-maker and president of Lone Shark Games, Mike Selinker. Jane Doh: It’s a Ring of Dishonor. Do we really want to join an organization of such ill repute? Mike Selinker: Do you want to join a Ring of Dishonor? Jane, I can’t know what you want. I can imagine you paid rapt attention to your Sunday school teachers, and never listened to an illegally downloaded song, and wouldn’t dream of crossing the street against the light. Then again, maybe not. Your “repute” is your own, for ill or otherwise. JD: Most of the Wired magazine articles have found their way to Wired.com. Are you sure we can’t just use the website? MS: Everything in the magazine is not on the website. In fact, looking in the parts of the magazine that don’t appear on the website would seem very smart. JD: Do you think this is a harder challenge in the magazine or the app? MS: Very slightly, I’d say the magazine is a little harder, since nothing “pops up” in print. But by now, people with the issue should know when they’ve found a code, and that it matches one of the tests that has been placed online. Having the iPad version puts it all in one place, and I expect a lot of people had all the codes on the first day the iPad issue came out. JD: Any tips for people who are stuck? MS: I guess I could lay out the solving process I’d use. The first thing I would do is solve the cryptogram in the bands around the Nu Shu puzzle. And then I’d look real hard at those three rows of Nu Shu cards in the middle. Then I’d find all the codes in pictures and words in the magazine; each of them is self-contained to one paragraph or picture or group of pictures. Then I would keep track of all the examples of the codes I found, and match them to their answers in the appropriate tests. And I would make sure I was keeping good records of that process. Finally, I’d tackle the sepiatone puzzle with all of that information. JD: Will this be easier with a blacklight or with low-spectrum infrared? MS: Low-spectrum infrared, since I expect you’d have trouble reading a magazine under blacklight. Trust me, I’ve run events using blacklight, and I know wherefrom I speak. JD: No seriously, where is the Polari code? Tell us!!! MS: Search for a block of text which has a lot of semicolons in it. That’s all I’m gonna say on that. JD: You make a lot of puzzles, Mike. Are there any particular kinds of puzzles that you favor? Like one-letter-offs, where the solution is just one letter off, for example? MS: Not sure what you’re getting at here, Jane. I will say that so far, we haven’t used that particular gimmick in this series. Yet. JD: For those of us that won’t make it to the induction ceremony in San Francisco, what can we thieves do to prepare for the quiz? MS: After you solve all of the puzzles and email the correct addresses, you should be ready to go. We’ll reveal the date and time of the test on Monday, although anyone with an invitation already knows when it will be. Of course, I never said anything about San Francisco. JD: At least two ARGNet staffers have been working pretty hard to get into the Ring of Dishonor. How will you take responsibility for effectively shutting down ARGNet for the past week? JD: Have you added an encoded hint into your Q&A responses? MS: Encoded hints are not my style, Jane. Indeed, a shifty one he is. Clearly my subtle questions and psychological tricks are no match for a crafty puzzler like Mike Selinker, and I couldn’t make this bird sing. Before I could apply brute force, he slipped away like a shadow in the night. Still, interested parties can chase him down through the Ring of Dishonor—just get a copy of “The Underworld Exposed” special issue of Wired, either in print or for the iPad. Set your sights on the secret languages that have been revealed and start cracking. There’s not much time: check out the Unfiction thread, where much of the grunt work is done, if you need to get caught up on the ciphers. Get your foot in the door and win your badge of dishonor. 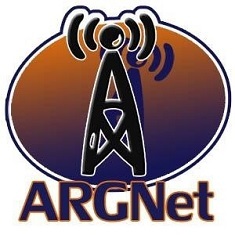 Note: In the interest of full disclosure, ARGNet content is syndicated on the Decode site, where interviewer Jane Doh is also a contributor. However, none of the puzzles or solutions have been available to any contributor of the Decode site before being released to the general public, and Jane has a destroyed copy of the magazine to prove it. Huh… the letter to renew my wired subscription is sitting right next to me. Why haven’t I returned it yet? I am a fool! Some witty writing there Jane. Well played.